Match ends, Bayer 04 Leverkusen 2, 1. FC Nürnberg 0. Second Half ends, Bayer 04 Leverkusen 2, 1. FC Nürnberg 0. Kevin Volland (Bayer 04 Leverkusen) wins a free kick in the defensive half. Foul by Patrick Erras (1. FC Nürnberg). Substitution, Bayer 04 Leverkusen. Paulinho replaces Julian Brandt. Attempt blocked. Patrick Erras (1. FC Nürnberg) right footed shot from outside the box is blocked. Assisted by Virgil Misidjan. Substitution, Bayer 04 Leverkusen. Dominik Kohr replaces Kai Havertz. Goal! 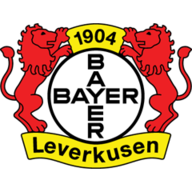 Bayer 04 Leverkusen 2, 1. FC Nürnberg 0. Kevin Volland (Bayer 04 Leverkusen) right footed shot from the centre of the box to the bottom right corner. Assisted by Lucas Alario following a fast break. Virgil Misidjan (1. FC Nürnberg) wins a free kick on the right wing. Attempt missed. Eduard Löwen (1. FC Nürnberg) right footed shot from outside the box is just a bit too high. Assisted by Tim Leibold. Corner, 1. FC Nürnberg. Conceded by Sven Bender. Attempt blocked. Matheus Pereira (1. FC Nürnberg) left footed shot from the centre of the box is blocked. Assisted by Robert Bauer. Mitchell Weiser (Bayer 04 Leverkusen) wins a free kick in the defensive half. Foul by Timothy Tillman (1. FC Nürnberg). Substitution, 1. FC Nürnberg. Georg Margreitter replaces Ewerton. Substitution, 1. FC Nürnberg. Timothy Tillman replaces Mikael Ishak. Foul by Julian Baumgartlinger (Bayer 04 Leverkusen). Eduard Löwen (1. FC Nürnberg) wins a free kick in the defensive half. Robert Bauer (1. FC Nürnberg) wins a free kick in the defensive half. Attempt saved. Kevin Volland (Bayer 04 Leverkusen) left footed shot from long range on the left is saved in the centre of the goal. Assisted by Wendell. Attempt missed. Jonathan Tah (Bayer 04 Leverkusen) header from very close range is high and wide to the left. Assisted by Kevin Volland following a corner. Attempt blocked. Kevin Volland (Bayer 04 Leverkusen) header from the centre of the box is blocked. Assisted by Julian Brandt with a cross. Corner, Bayer 04 Leverkusen. Conceded by Tim Leibold. Mikael Ishak (1. FC Nürnberg) wins a free kick in the defensive half. Corner, Bayer 04 Leverkusen. Conceded by Christian Mathenia. Attempt saved. Kai Havertz (Bayer 04 Leverkusen) left footed shot from outside the box is saved in the top centre of the goal. Assisted by Kevin Volland. Foul by Virgil Misidjan (1. FC Nürnberg). Julian Baumgartlinger (Bayer 04 Leverkusen) wins a free kick in the attacking half. Foul by Eduard Löwen (1. FC Nürnberg). Attempt saved. Lucas Alario (Bayer 04 Leverkusen) right footed shot from the right side of the box is saved in the centre of the goal. Assisted by Mitchell Weiser. Substitution, 1. FC Nürnberg. Virgil Misidjan replaces Sebastian Kerk. Goal! Bayer 04 Leverkusen 1, 1. FC Nürnberg 0. Lucas Alario (Bayer 04 Leverkusen) header from the centre of the box to the bottom right corner. Assisted by Julian Brandt with a cross following a corner. Corner, Bayer 04 Leverkusen. Conceded by Lukas Mühl. Offside, Bayer 04 Leverkusen. Sven Bender tries a through ball, but Mitchell Weiser is caught offside. Attempt missed. Jonathan Tah (Bayer 04 Leverkusen) header from the centre of the box is close, but misses to the right. Assisted by Julian Brandt with a cross following a corner. Corner, Bayer 04 Leverkusen. Conceded by Robert Bauer. Attempt missed. Julian Brandt (Bayer 04 Leverkusen) left footed shot from outside the box is too high. Assisted by Kai Havertz. Corner, Bayer 04 Leverkusen. Conceded by Eduard Löwen. Attempt saved. Mitchell Weiser (Bayer 04 Leverkusen) right footed shot from outside the box is saved in the bottom left corner. Corner, Bayer 04 Leverkusen. Conceded by Patrick Erras. Attempt blocked. Charles Aránguiz (Bayer 04 Leverkusen) right footed shot from the right side of the box is blocked. Assisted by Julian Brandt. Foul by Mikael Ishak (1. FC Nürnberg). Matheus Pereira (1. FC Nürnberg) wins a free kick on the right wing. Second Half begins Bayer 04 Leverkusen 0, 1. FC Nürnberg 0. First Half ends, Bayer 04 Leverkusen 0, 1. FC Nürnberg 0. Foul by Matheus Pereira (1. FC Nürnberg). Attempt saved. Lucas Alario (Bayer 04 Leverkusen) header from the centre of the box is saved in the top left corner. Assisted by Kevin Volland with a cross. Foul by Julian Brandt (Bayer 04 Leverkusen). Attempt blocked. Julian Baumgartlinger (Bayer 04 Leverkusen) right footed shot from a difficult angle on the right is blocked. Assisted by Charles Aránguiz. Matheus Pereira (1. FC Nürnberg) wins a free kick in the defensive half. Lucas Alario (Bayer 04 Leverkusen) wins a free kick in the defensive half. Foul by Lukas Mühl (1. 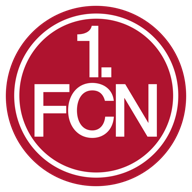 FC Nürnberg). Substitution, Bayer 04 Leverkusen. Lucas Alario replaces Leon Bailey because of an injury. Attempt saved. Leon Bailey (Bayer 04 Leverkusen) right footed shot from the left side of the box is saved in the centre of the goal. Assisted by Sven Bender. Offside, 1. FC Nürnberg. Hanno Behrens tries a through ball, but Mikael Ishak is caught offside. Attempt missed. Wendell (Bayer 04 Leverkusen) left footed shot from outside the box is close, but misses to the right. Attempt missed. Kai Havertz (Bayer 04 Leverkusen) header from a difficult angle on the right is close, but misses to the right. Assisted by Julian Brandt with a cross. Attempt missed. Leon Bailey (Bayer 04 Leverkusen) left footed shot from the centre of the box misses to the left. Assisted by Mitchell Weiser with a cross. Attempt saved. Kai Havertz (Bayer 04 Leverkusen) left footed shot from outside the box is saved in the top left corner. Assisted by Julian Baumgartlinger. Attempt missed. Charles Aránguiz (Bayer 04 Leverkusen) right footed shot from more than 35 yards misses to the left. Assisted by Kai Havertz. Attempt saved. Eduard Löwen (1. FC Nürnberg) right footed shot from the centre of the box is saved in the bottom left corner. Assisted by Tim Leibold. Corner, Bayer 04 Leverkusen. Conceded by Ewerton. Attempt missed. Julian Baumgartlinger (Bayer 04 Leverkusen) right footed shot from outside the box is too high. Assisted by Kai Havertz. Attempt blocked. Kai Havertz (Bayer 04 Leverkusen) left footed shot from the right side of the box is blocked. Assisted by Charles Aránguiz. Attempt missed. Sebastian Kerk (1. FC Nürnberg) header from the centre of the box misses to the left. Assisted by Matheus Pereira with a cross. Foul by Kai Havertz (Bayer 04 Leverkusen). Tim Leibold (1. FC Nürnberg) wins a free kick in the defensive half.